The space of the universe is accepted as an infinite voidness filled with matter and force fields. However, our traditional concepts of three dimensional Euclidean space, and also of universal time, have been revised, whereas the structural relationship between space and matter is yet to be explored by contemporary physics. By not taking space interaction into account, modern theories in quantum physics have ignored spatial forces in nuclear structure as well as in elementary particles and, therefore, failed to identify the fundamental particles - the electron. 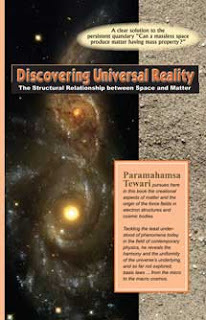 It has been shown in this work that the primary source of cosmic energy arises in the dynamics of space that originates and creates matter and fields—thereby indicating that current physical theories are clearly on the wrong track with regard to the basic properties of space.